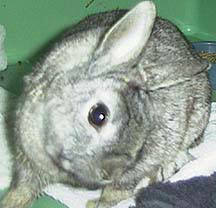 This page is dedicated mainly to rabbit breeders. Because Pasteurella multocida is such a persistent germ, the page ends up painting a bleak picture for the survival of sneezing rabbits. If you are a pet rabbit owner with sneezing rabbits, you'll find info that is a little more hopeful at My Bunny, "Sugar," Recovered from Pasteurella. If several treatments fail to cure your pets, then return to this page to better understand why. Pasteurella multocida is a nasty little germ. 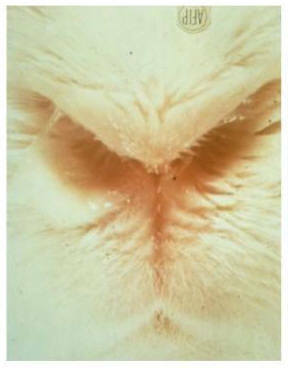 When a rabbit comes down with symptoms from this bacterium, the vet calls this disease Pasteurellosis, the general term used when the rabbit’s immune system has been overwhelmed with P. multocida. The leading researchers believe that 100% of rabbits, or at least 100% of rabbitries, have been exposed to Pasteurella (Rabbit Production, Sixth Edition, pg 213). The germ is everywhere in the rabbit world; the best protection is boosting the overall health of the rabbits in your rabbitry. This bacterium is the cause of the respiratory condition known as "snuffles." Snuffles actually describes a symptom, not exactly the illness. Snuffles are paroxysms of head-jerking sneezing that occur on a fairly regular basis. The symptom of snuffles is a result of Pasteurella multocida in approximately 90% of the cases. If your rabbit is sneezing, and you see ANY white sticky or clear runny snot in its nose, it’s not a cold, it is probably Pasteurella multocida. I sure hate to be so gloomy about everything! But don't just take it from me, listen to the rabbit experts: "There’s no such thing as a ‘cold’ in rabbits," is the unequivocal statement in Rabbit Production (p. 213). "Mucopurulent nasal discharges (pus) that many people attribute to colds are almost invariably caused by P. multocida in conjunction with another bacterium called Bordatella bronchisepticum. This is not a transient condition like a cold, but one with permanent adverse effects on the animal." What about the 10% of sneezing cases that are not caused by Pasteurella? Bordetella, Pseudomonas, and Staphylococcus germs might also cause sneezing, as well as a small handful of other bugs. A veterinary diagnosis is a valuable tool. In the case of Pasteurella: The rabbit keeps on sneezing on and off, and you notice matting on the insides of the front legs from repeatedly wiping the white snot away with the front legs, and, you actually see white snot bubbles as the rabbit sneezes. Is your rabbit sneezing? Click here for help determining whether or not the cause is Pasteurella bacteria. Visit the Long Beach Animal Hospital website for some pretty gruesome pictures of animals with Pasteurella, and some of the surgical procedures the sick rabbits undergo. Most of the time there is no real cure for Pasteurella multocida. Antibiotics suppress the symptoms for the duration of the course of the antibiotics. Immune system boosting supplements strengthen the rabbit’s health, and the symptoms go away. However, at the next downturn of the immune system, it all comes right back again. Up to 100% of all domestic rabbits might be exposed to or even harboring Pasteurella multocida in their body, but not all of these rabbits are showing disease symptoms. Many rabbits carry the germ, but are perfectly healthy. Their immune systems have tamed the bugs. Some vets recognize the huge prevalence of rabbit exposure to Pasteurella bacteria, and no longer recommend culling the rabbit. Instead, they suggest a treatment protocol. What ends up happening is that the rabbit gets better... temporarily. And when the wind changes, and the antibiotics run out, it gets sick all over again. And then it gets cranky, because it doesn’t feel good. Don’t use your sick pet for breeding. Don’t get another rabbit at the same time as you have a sick rabbit. Recognize that the rabbit will need medication for the rest of its life. Will the continual vet bills take a toll on your allowance or your finances? Please don’t release your frustrations into the wild. This is illegal in many localities, and can result in epidemics of rabbit diseases (not to mention a free meal for coyotes). When you’re tired of the bills and have gotten up the nerve, put the sick rabbit out of its misery. Disinfect all your rabbit things. After a month or two elapses, locate a reputable breeder of healthy rabbits (see All Rabbit Breeds for links, or go to www.arba.net/Breeders.php), and obtain another favorite pet rabbit. Reputable breeders will guarantee the health of their rabbits for a period of time. With a healthy, happy rabbit, you may get to enjoy it for up to 10 years or even more without ever having to run to the vet. The prevalence of Pasteurella germs living inside domestic rabbits (whether or not there are symptoms) is close to 100%. The idea behind culling our sick rabbits is not necessarily to reduce the prevalence of the germ, but to arrive at overall improved immunity to snuffles across the board in ALL domestic rabbits. Rabbits may always carry P. multocida, but with strong immune systems, far fewer of them would ever get sick. And isn’t that what we really want - pet rabbits and breeding rabbits that never get sick?? Outwit Pasteurella through a careful breeding program that fixes HEALTH in every rabbit. 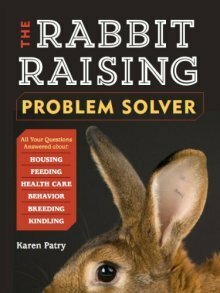 improve rabbit health in your own rabbitry. The BunnyVac might be the best news ever for pet rabbit owners! The BunnyVac is designed and licensed by the USDA "for use in healthy rabbits as an aid in the prevention of pasteurellosis (snuffles)." Off-label use as a therapeutic treatment of a sick pet rabbit is also possible, resulting in complete remission of symptoms in rabbits with adequate immune function. Yearly vaccine boosters are needed. Learn much more at BunnyVac. Can Staph cause white snot?